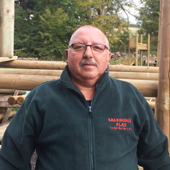 With a background in the timber industry Jamie knows all there is to know about creating and installing play equipment. Jamie also enjoys skiing and shooting. Sarah is responsible for all areas of office management and deals with sales and customer service. 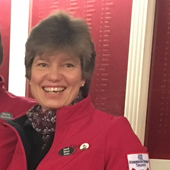 In her spare time Sarah is a keen curler and spends the winter throwing granite stones at a target and sweeping the ice hard. 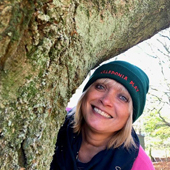 Volunteering with a Duke of Edinburgh Group gets her out in the Scottish hills in all weathers and she enjoys walks with her dog Roxy. Susie oversees all the digital marketing, accounts and social media. Susie has a genuine passion for the outdoors. Sandy ensures the smooth running of the yard and all the installations, he is a also a registered and certificated RPII inspector. Sandy completed twenty two years in the Black Watch. He helps out with his local Cub group as Shere Khan and enjoys Formula 1. 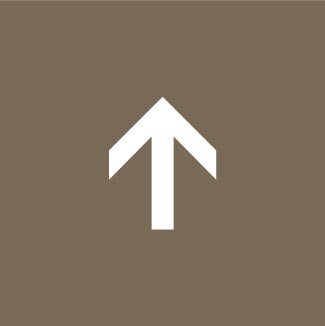 Ineke is responsible for creating the company’s marketing materials and the management of the company website. In her spare time Ineke enjoys heading out into the hills and making music. Liz supports Jamie with the commercial sales and attends many shows across the country. Liz enjoys travelling and cycling. Kathleen does the accounts along with Susie. Kathleen is passionate about the outdoors and enjoys socialising. 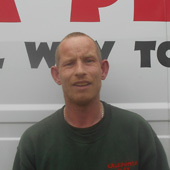 Laurence leads the team of installation engineers and has been part of the company since the beginning. He enjoys motor sports, trips away in his caravan and also owns a jet bike! Paul is the newest member of the team. He enjoys skiing, motor sports, go-karting and gardening. 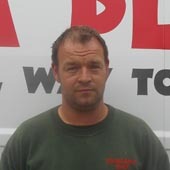 Laurence’s son Aarron is a valuable member of the Installation Team and has worked with the company since he left school. Aarron enjoys motor sports in his free time. Craig is part of the Installation Team. Craig likes football and is involved in youth football. Keith is part of the Installation Team. James is part of the Installation Team. Rory is studying medicine at Edinburgh University and works with our installation team during the holidays. In his spare time he enjoys golf, rugby and cricket.